apply in prescribed application format on or before December 05, 2016 by 07 pm. The selected candidates will be required to sign a service agreement bond of Rs 50,000/ (General and OBC) and Rs 25,000 for SC/ST/Physically Challenged Person to serve the company for a minimum period of 3 years after completion of training, Candidates will also need to undergo medical examination by NTPC medical board. The decision of the board will be final. 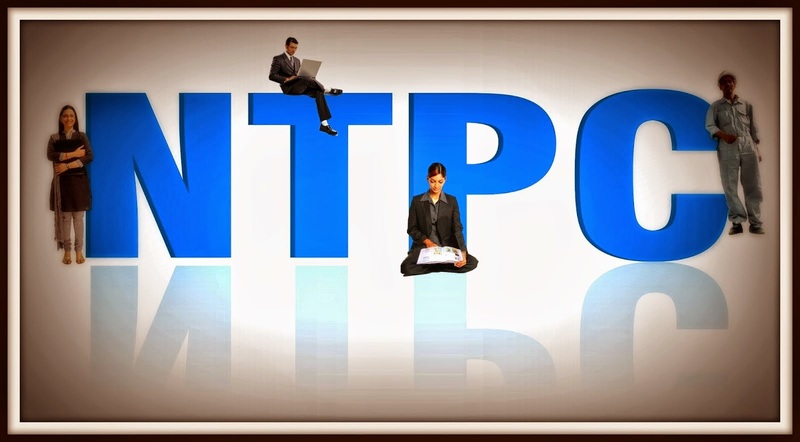 NTPC Limited is a Maharatna PSU engaged in the business of generation of electricity and allied activities is a company incorporated under the Companies Act 1956 and a Government Company within the meaning of the act. The total installed capacity of the country's largest power utility stood at 47,178 MW as on June 30, 2016 compared with 45,048 MW last year. The Maharatna PSU has over the years emerged as the dominant power major with presence in the entire value chain of the power generation business. From fossil fuels it has forayed into generating electricity via hydro, nuclear and renewable energy sources. To strengthen its core business, NTPC has diversified into the fields of consultancy, power trading, training of power professionals, rural electrification, ash utilisation and coal mining as well. NTPC was ranked 400th in the ‘2016, Forbes Global 2000’ ranking of the World’s biggest companies. Age Limit: The upper age of the candidates should be 27 years, 37 years (for Lan Outsees of NTPC Projects at Lara, Korba, Sipat, Gadarwara & Khargone) as on November 1, 2016. The age relaxation is applicable to 5 years for SC/ ST, 3 years for OBC, 10 years for PwD candidates as per rules. Educational Qualification: Candidates are required to possess 10th class, ITI course in Fitter/ Electrician/ Instrument Mechanic trade. NCTVT in Store keeping, English Typing 30 wpm/ 150 keystrokes per minute for Post 2, Full Time regular B.Sc with Chemistry/ Graduation in Industrial/ Applied Chemistry. Selection Process and application fee: Candidates will be selected based on written test, skill test. Candidates should pay Rs. 300/- (non-refundable) for General/ OBC category candidates by Demand Draft in favour of NTPC Limited payable at Raipur, Chattisgarh. How to Apply: Eligible candidates may send their applications along with latest colour passport size photo, fee, self-attested copies of certificates of age, qualification, category, quota to NTPC Ltd, Western Region-II Headquarters, 4th Floor, Magneto Offizo, Labhandi, GE Road, Raipur- 492001 through speed post/ regd post on or before 05-12-2016 by 07:00 pm.